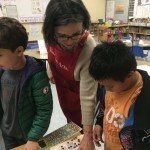 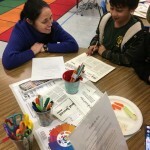 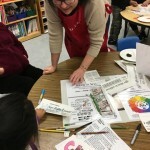 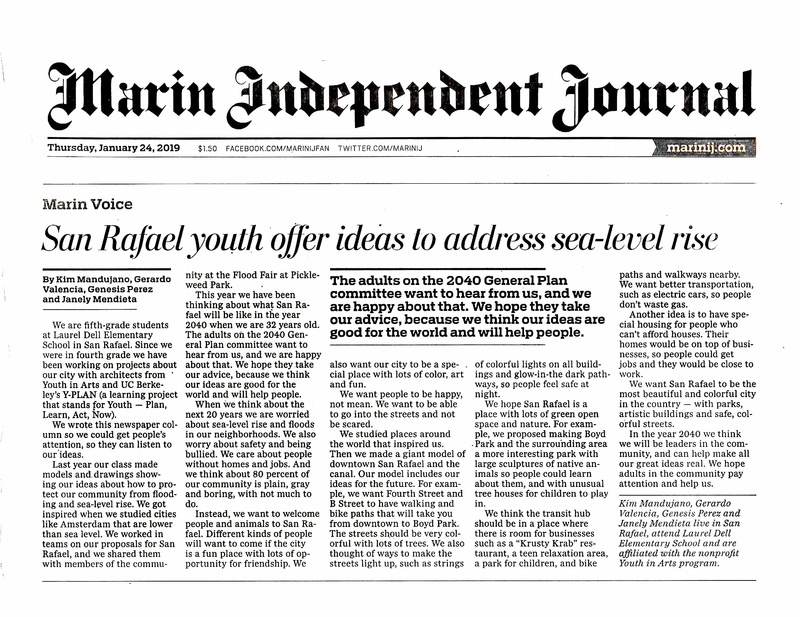 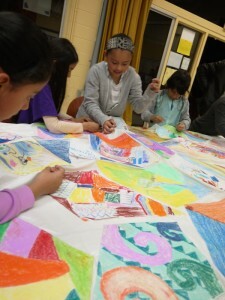 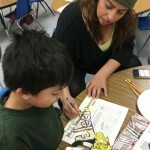 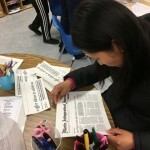 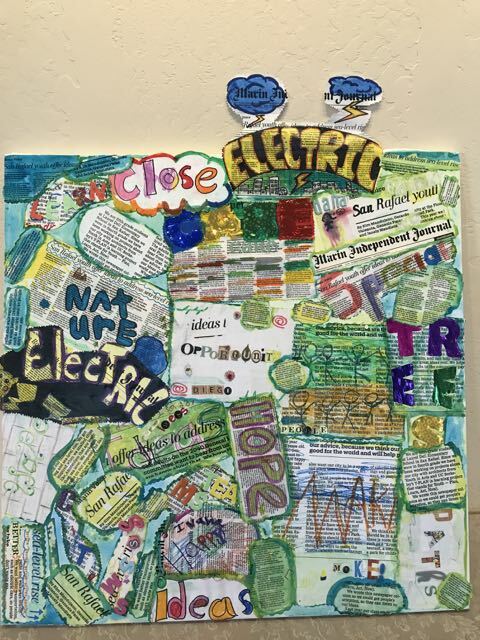 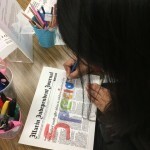 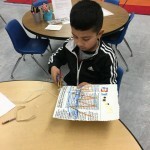 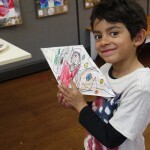 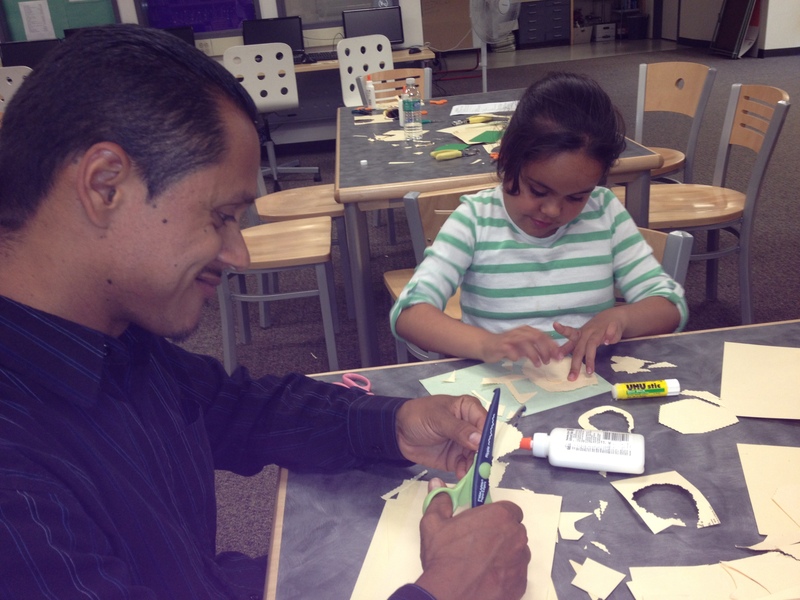 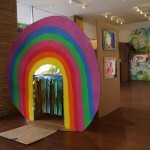 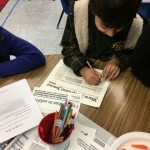 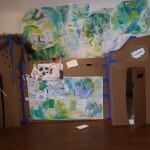 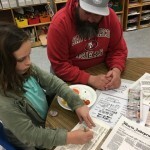 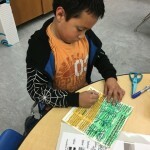 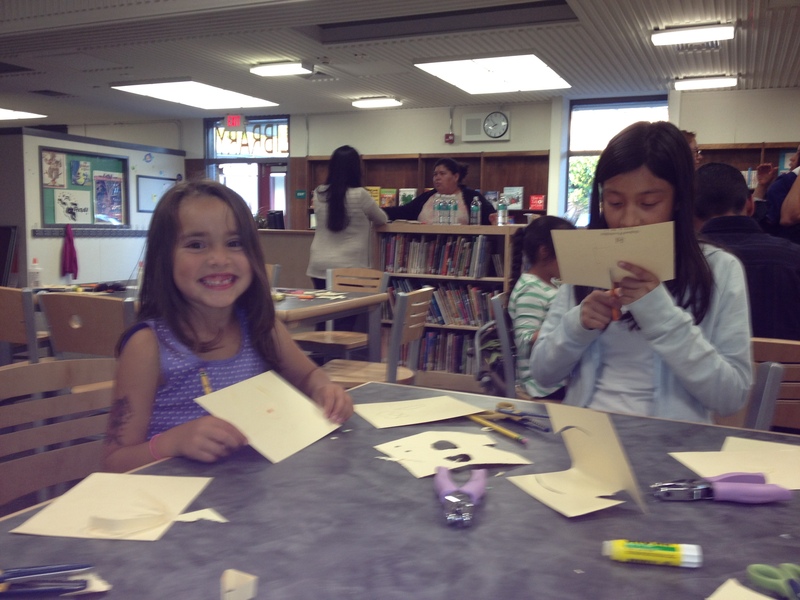 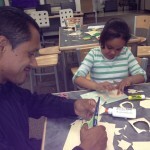 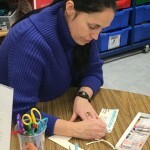 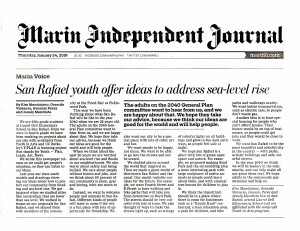 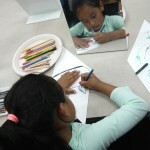 Mentor Artist Suzanne Joyal met with a group of parents and teachers at Venetia Valley School in San Rafael in June, and what was meant to be a small gathering of Art Parents soon turned into a large group of families eager to explore their creative side together. 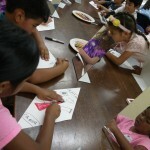 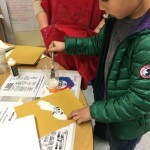 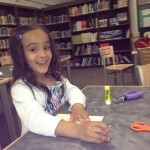 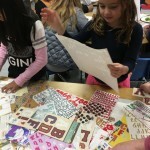 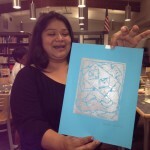 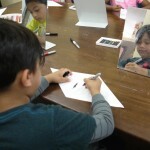 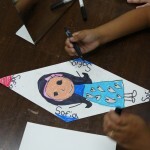 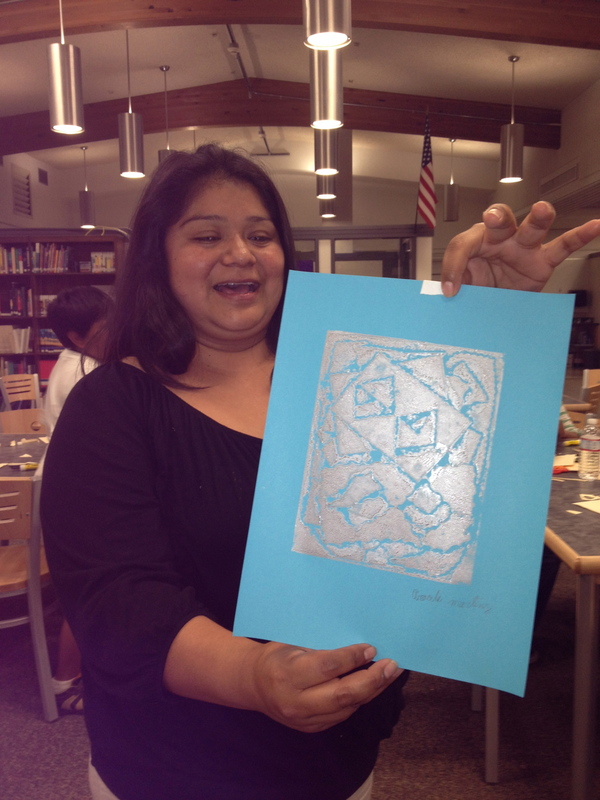 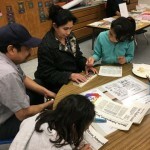 Families worked side-by-side to create their own personal colograph prints. 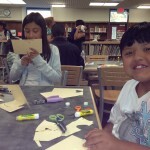 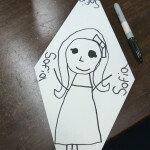 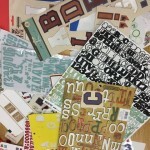 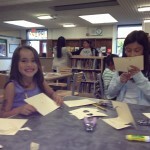 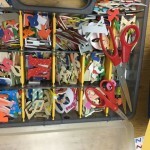 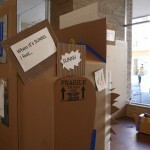 We used old file folders, and began by cutting a variety of shapes in different sizes. 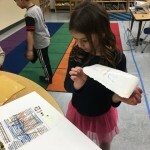 We experimented with the design by placing and moving and layering the shapes before we glued them onto a larger piece of file folder. 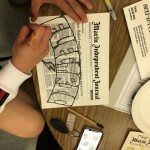 This is when the fun really began: we used four different colors of ink, and 10 different colors of paper, and experimented with how our choices of each affect the final design of our print. 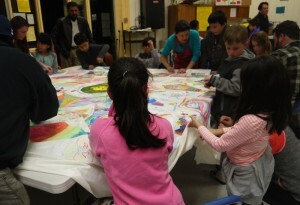 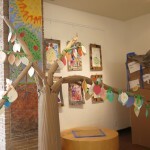 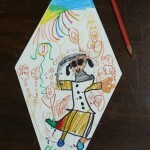 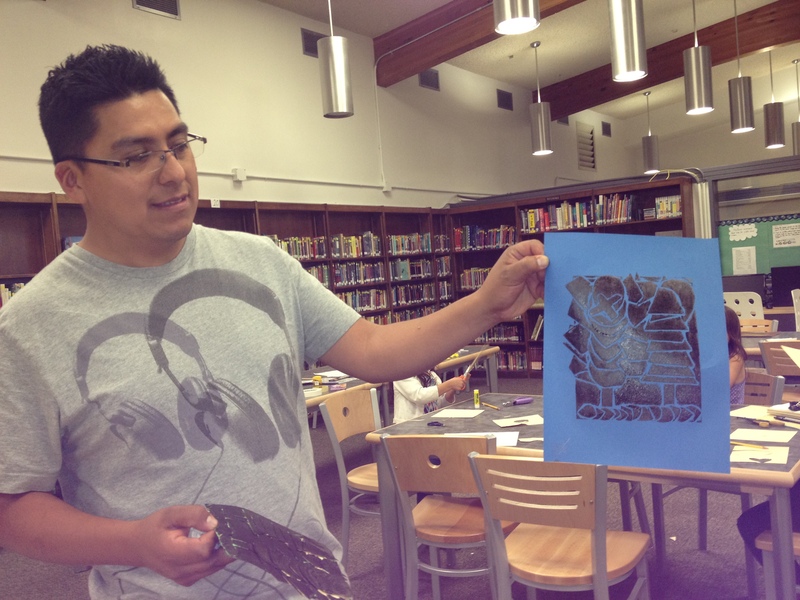 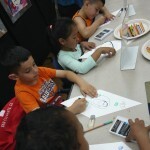 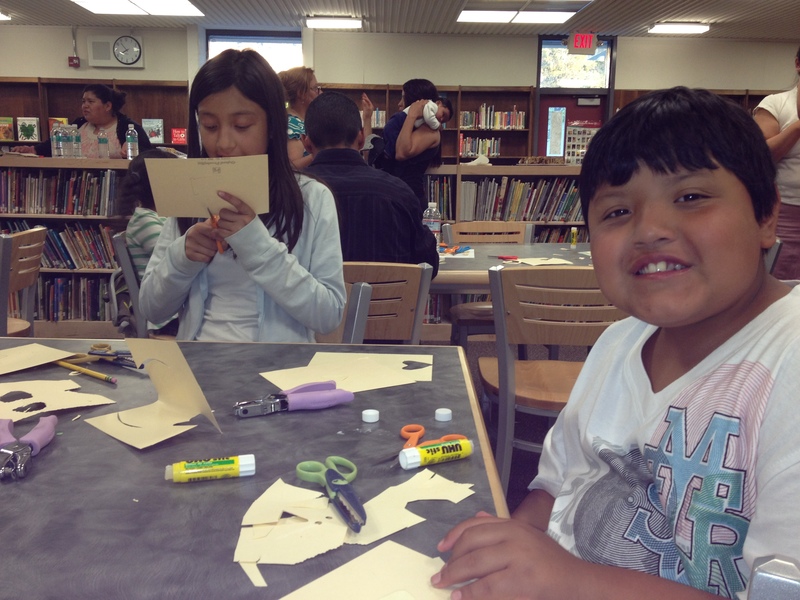 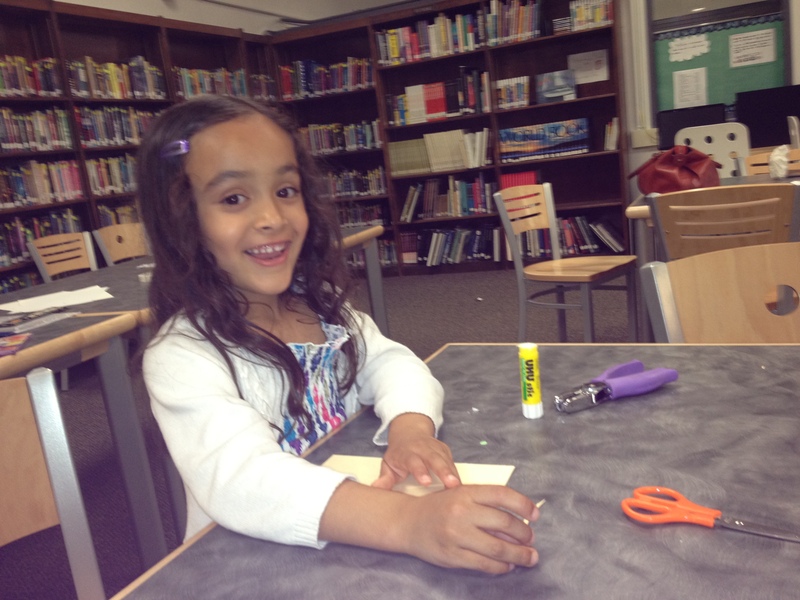 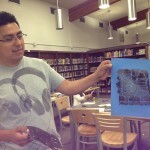 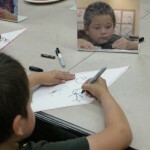 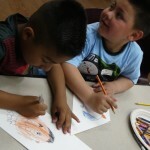 Artists of all ages were able to make many different artworks with their brayers, ink, and paper.